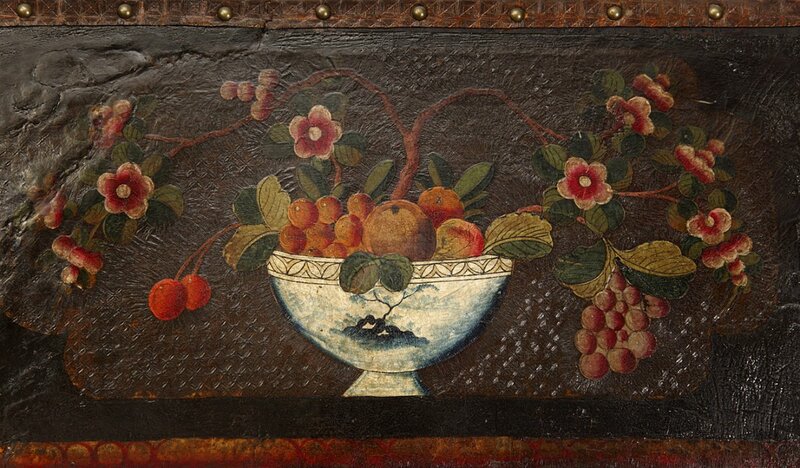 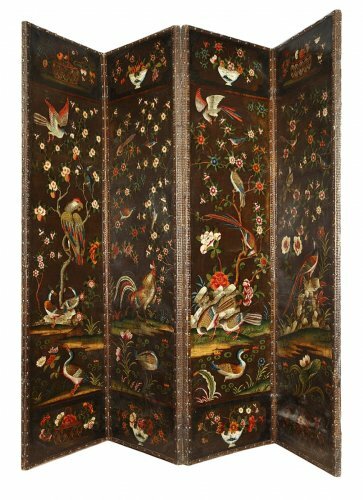 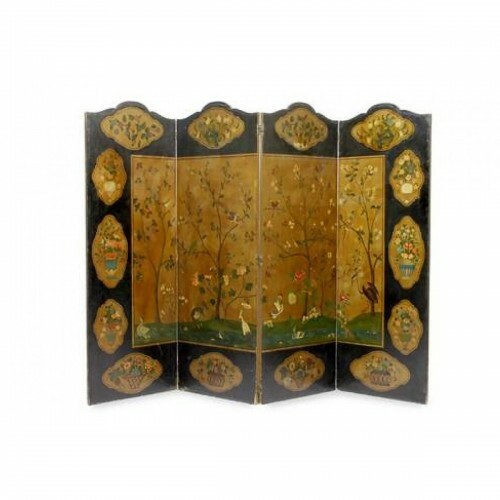 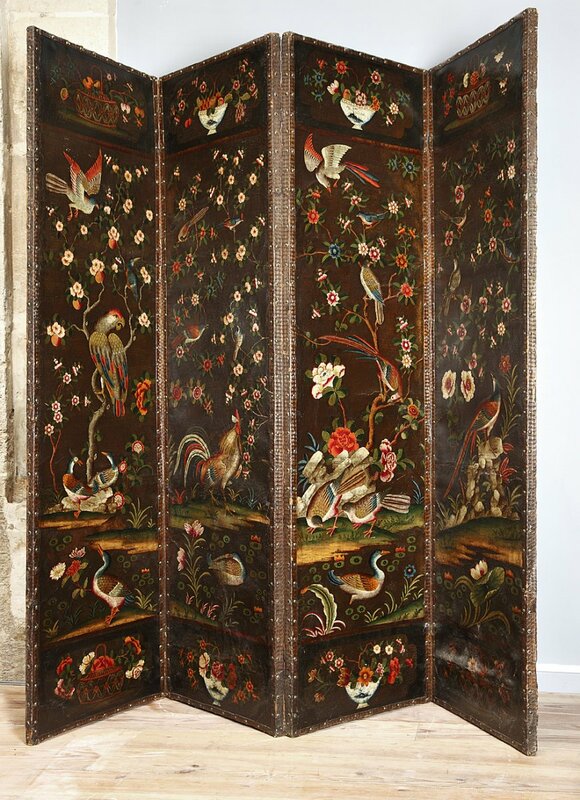 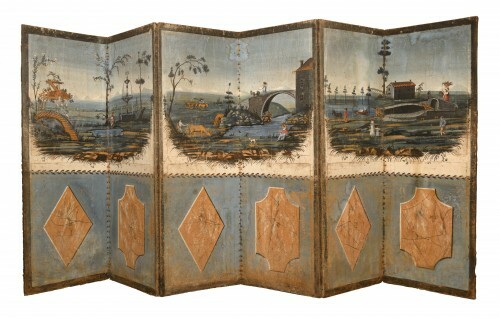 Of embossed and painted leather, this screen was made in India for the Dutch market. 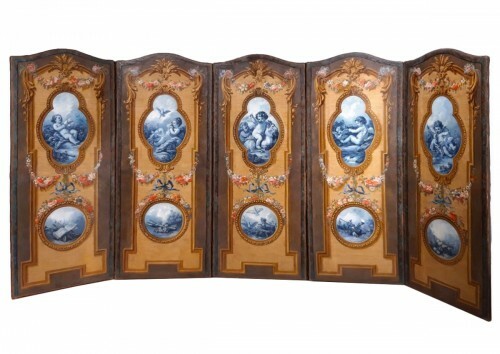 It was probably brought back by the vereenigde oostindische compagnie (voc) which specialised in the import of china and other luxury goods. 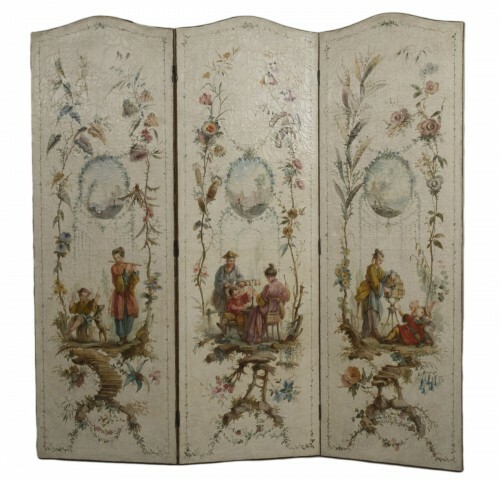 The two middle panels’ tops and bottoms are indeed decorated with blue and white china bowls like those of the Ming Dynasty, lled with fruit and owers. 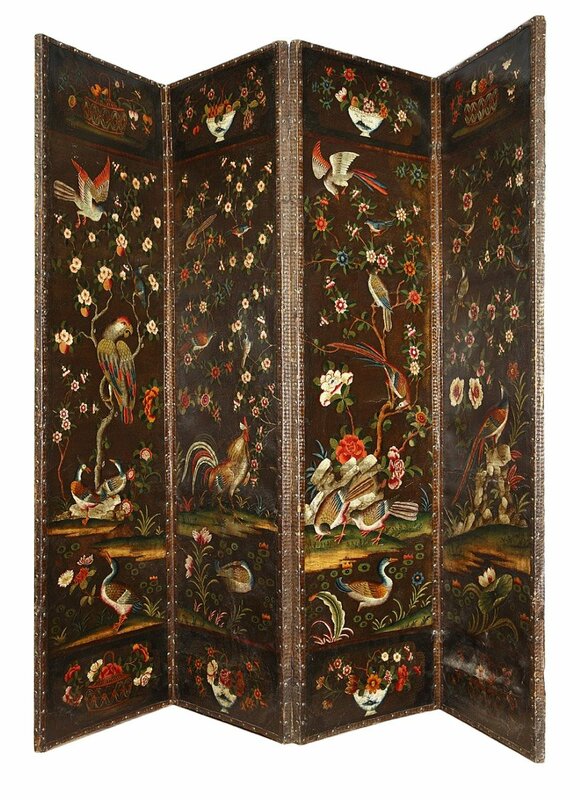 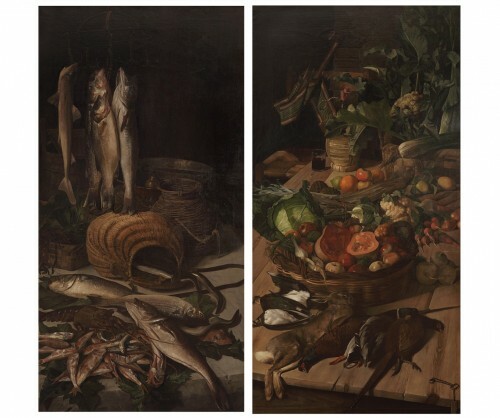 The end panels bear fruit and ower baskets in the same positions, so that when spread out, the screen presents two still life friezes as borders. 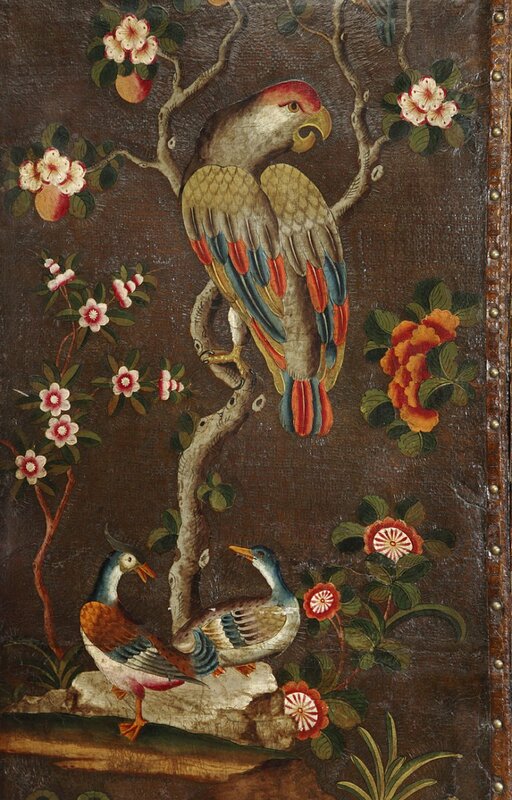 The panels’ centre is occupied by a tree in full bloom, growing by a brook, along with va- rious birds. Each panel’s composition is unique and features ducks, cockerels, partridges or pheasants among the owers. 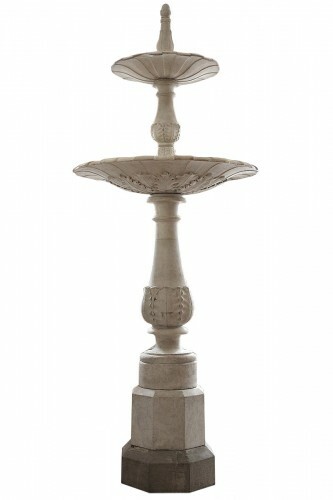 It depicts the tree of life motif, also frequent on wall hangings and other palampores.